Mark Twain once allegedly said, "Eat a live frog first thing in the morning and nothing worse will happen to you the rest of the day." There are various corollary statements and derivatives, but the basic point is this: If you start your day with the worst thing you have to do, it will only look up. Brian Tracy has turned this quote into a full length book called Eat That Frog! (disclosure: that is an affiliate link) that recommends doing the worst task in the morning as a method of reducing procrastination. I have to say, it's an effective system, and one that we employ in our household to make sure the laundry gets done every weekend. "Eat the frog" is a mantra that we know and use. But I'm not going to tell you to eat a frog. I am going to tell you to eat a hot pepper. Have you ever ordered Kung Pao Chicken? The picture above is of that exact dish, which I had for lunch (no, this isn't turning into the Facebook or Twitter "what I had for lunch" post). 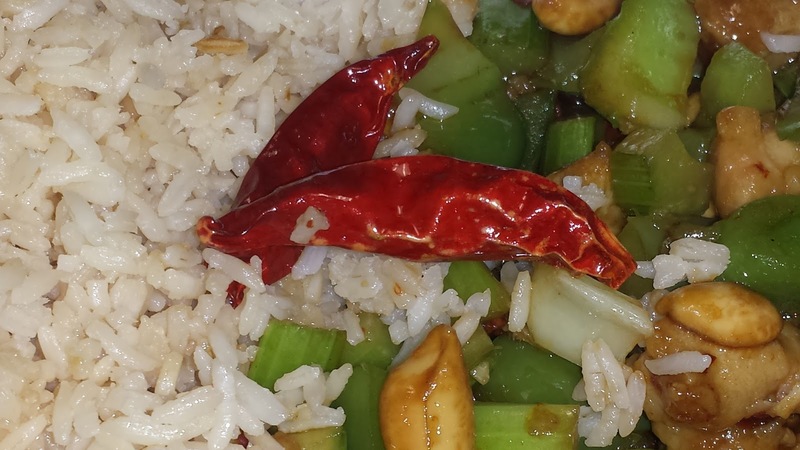 Kung Pao Chicken is a dish made up of chicken, peppers, celery, peanuts, and a spicy sauce that is flavored by those dried little red peppers. The peppers add spice to the dish simply by being cooked in with the rest, and most people grab those chopsticks and toss those dried little seed pouches to the side. Every now and then, I eat one. Some are spicier than others. Some will try to melt your tongue. Some are flavorless leathery pepper skins. It's a gamble. They all look the same, but some have already used all of the spice and danger to flavor the rest of the food. So here's the metaphor: eat a red hot pepper at work. What do I mean? Take a risk, make a gamble. Every now and then, you make a leap of faith. You take on a risky assignment or work a project that you can't define as easily as some others. Some of them will be dried and useless. They won't burn you, but you won't learn anything either. Some will be spicy and problematic. With those, you will learn much, including whether or not you like sinking your teeth into such spicy pursuits. Just like a pile of peppers does not make a meal, the meal lacks flavor if it isn't cooked with them. And once you eat one, it kicks it up a notch. So identify what your hot peppers are at work, and eat one. Dare yourself.